After answering the conference’s call for research projects, which were to be assessed at 2018’s TechSEO Boost in Boston, MA, SALT.agency submitted ‘Utilising Cloudflare Workers to Overcome the Challenges of Legacy Tech Stacks and High DevOps Costs’ — otherwise known as Sloth. With a deadline of 8 October, the work was assessed by an expert judging panel, and was entered in the finals, alongside work from OVH and Perficient Digital. 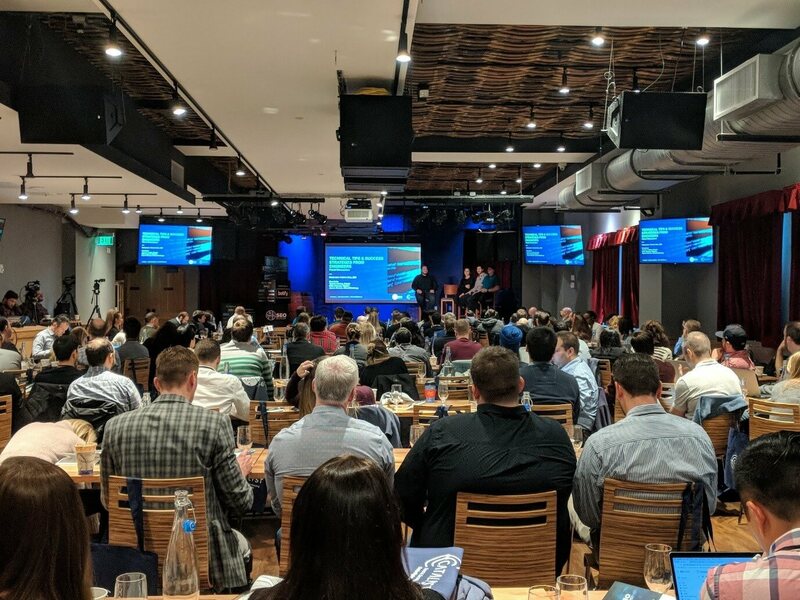 On 29 November Dan Taylor and director Martin Woods travelled to Boston to present the work in front of a sell-out crowd at TechSEO Boost. 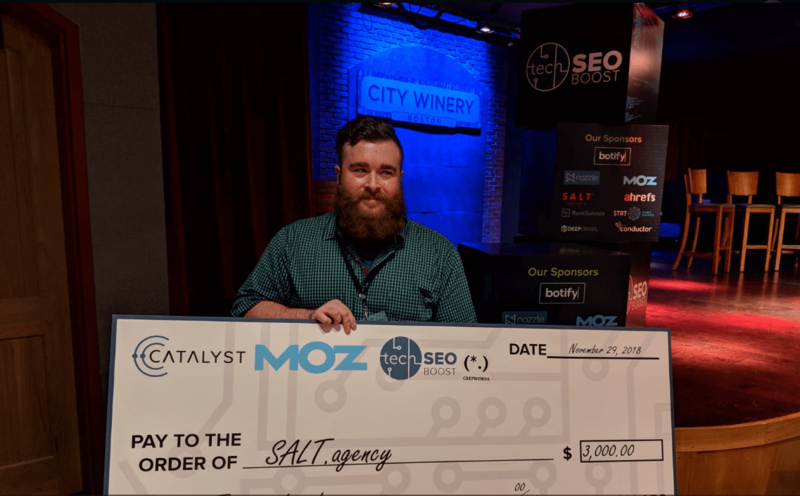 At the end of the evening, it was announced that Sloth, the research proposed by the team at SALT was the winner of the competition. Essentially, the service allows businesses to generate self-sufficient Cloudflare worker bundle to implement items such as Hreflang tags, security headers, redirects, and other page level meta tags with no developer involvement. It does this by leveraging Cloudflare workers, allowing developers, SEOs, and non-technical marketers the ability to alter and augment existing websites or applications without the need to configure or change the existing infrastructure. As long as businesses have Cloudflare’s free plan, and their website is active on Cloudflare, they can make use of Sloth workers.